is the challenge this fortnight at Fashionable Stamping Challenges. This one is all about using your die cut machines…or punches! see what everyone has been up to! I have chosen hearts for my dies. and then I added lots of sparkle to absolutely everything! We have a teacher from work due to have a baby soon, and I am guessing a girl. We’ll see if the saying is right this time lol…. are inspired to join in the fun! The theme is open – all you need is a machine or a punch. also no digi stamps are allowed. The stork stamp is one from Stampin Up and it is the only stamp used this time around. Dot, this is just adorable! Love all those hearts and what a great image! Hope you are enjoying the weekend! Hugs! A beautiful baby card Dot, lots of lovely sparkly layers and gorgeous hearts. Hope you are right with your prediction or the boy colours will be coming out quickly lol. Gorgeous baby card, love all those hearts and the wonderful image. Beautiful card, love all the hearts. Great card, your colour scheme and goes perfectly with the hearts theme. 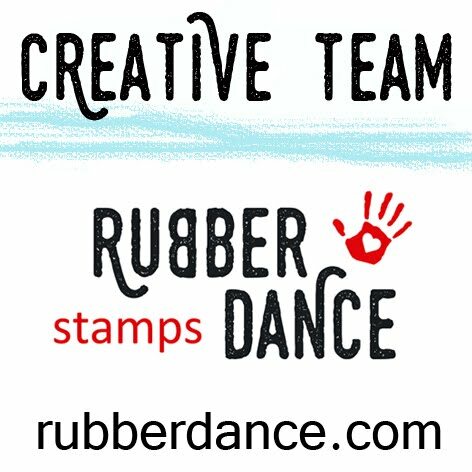 Thanks for joining us for this week's Simon Says Stamp and Show Challenge! Ohhh, I love this special delivery card. 🙂 Beautiful job! Thank you so much for playing along with us at Top Tip Tuesday! Remember you can enter up to 3 projects and 3 tips. Gorgeous Dot…love all the hearts…a great baby card! This is such an adorable card Dot with such a lovely stamp for the focal. A great baby card Dot. Love the hearts you used. Really gorgeous card Dot. The hearts look so lovely round the cute image. Nice and sweet I really love this babycard a lot!! !Beautifull creation!!! 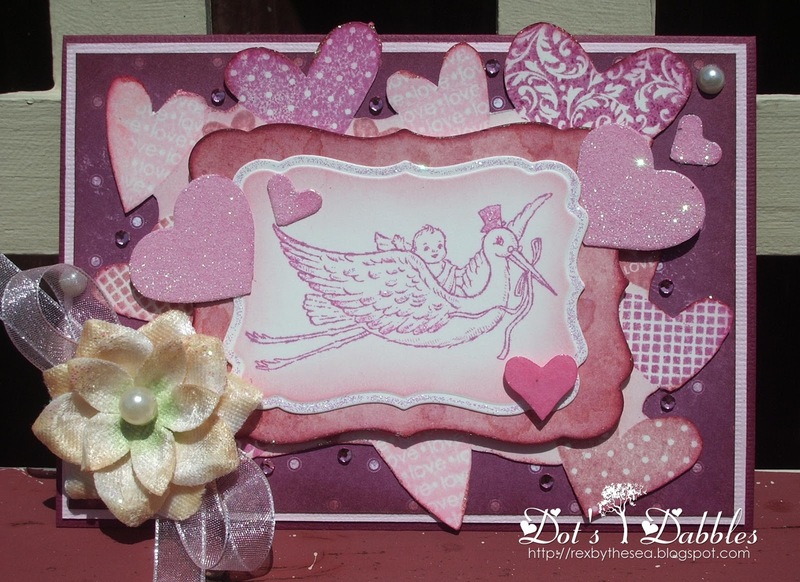 So pretty in pink… all those variations on the hearts are so pretty, and I love the stork image! How different is this for you hunny, all those hearts are amazing plus the stamped image is gorgeous. Love it.